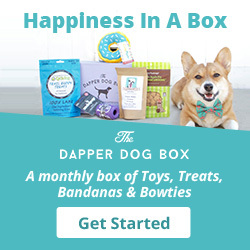 Thank you to Pawscout for sponsoring this giveaway and post. All thoughts are my own. It used to be that we would put our phone number on our pets ID tag and hope that if our pet went missing, someone would call the number. While that does work, and many pets are safely returned home, Pawscout understands pet parent's need for additional safety and security when it comes to protecting our furry family members. I have always tried to keep my dachshund, Rocket in good shape. My go-to exercise routine is hiking. There is just something about the fresh air and beautiful scenery that I love so much. When we hit the trail, I usually remove his leash. More often than not, a leash can be hindering and unsafe on certain hikes, especially ones where we have to climb over rocks. He has never been one to “take off” but there have definitely been times where instinct kicks in and he chases after a scurrying small animal. 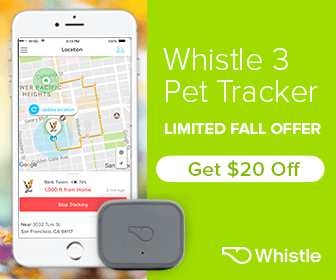 Pawscout is a Bluetooth enabled tag loaded with features to help keep your pet safe and you informed. The tag pairs with the Pawscout app that you download on your phone to easily track your pet, notify other Pawscout users if your pet becomes lost and create a digital profile with important medical records. There are two ways to attach the tag to your pet's collar and both are included with the product. You can choose between a circular hanging mount and a flush mount. Rocket is very uncomfortable with anything that hangs from his collar so we opted for the flush mount. I also tried the tag out on his harness and it worked great but it really depends on what kind of harness you have. I had some difficulty pairing the device with my phone at first. You have to make sure that you stand clear of other Bluetooth devices such as a smartwatch. I contacted customer support and they responded right away and walked me through the pairing process. I was then able to quickly and successfully connect the device. Once the device is connected to the app, you can set up a personal profile for your pet which includes name, breed, age, color, birthday, weight, medical needs, and a photo. It's important to fill this out because if your missing pet is found by another Pawscout user, they will be able to access this information. Maybe your dog has certain food allergies or your cat needs daily medication? One of my favorite features is that you can record your walking route. When you begin a walk with your dog, simply tap “start walk”. As you walk, you can see the elapsed time and distance. When you finish, your walk gets saved into the “walk diary” which shows your detailed route marked in green. I took Rocket off the beaten path and onto some hiking trails and the app worked perfectly. So what happens if your pet becomes lost or goes out of range? You can use your Pawscout app to locate your pet within a 300-foot range. Once out of range, your “Virtual Leash” will send an alert to your phone saying that your pet is out of range. 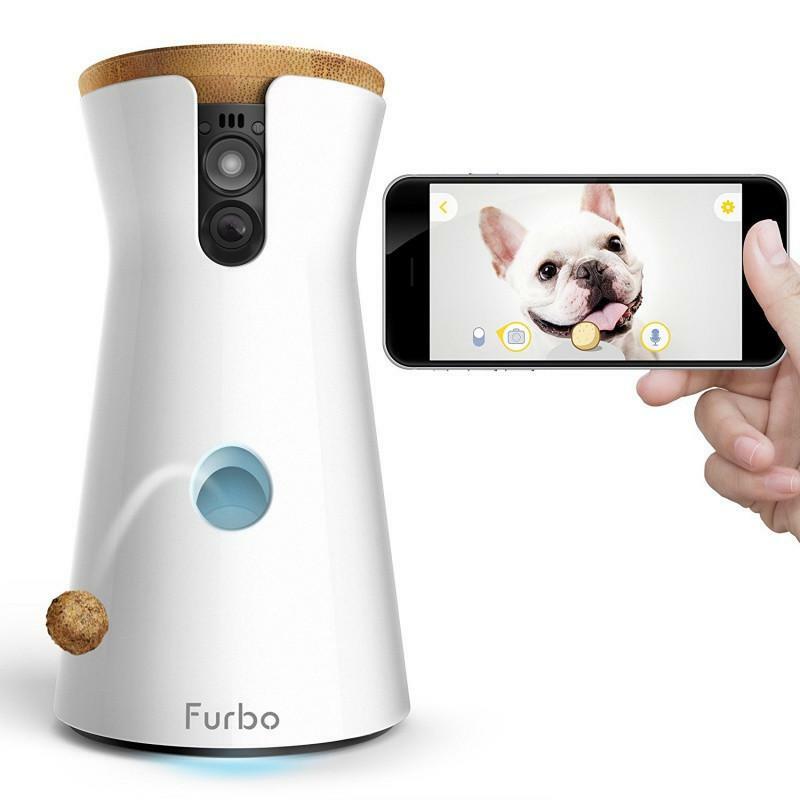 It will also record the last known location of your pet. From the app, you can mark your pet as “lost”. If your pet comes within 300 feet of a Pawscout user, you will be notified of its location. This app is all about community. One doesn't need to have a tag or even a pet to use the app but can contribute to the community by downloading the Pawscout app on their phone. For example, one may choose “Be a Hero” mode which will notify them when they come within range of a lost pet. In addition, Pawscout recommends having family members, caregivers, friends, and neighbors download the app enabling you to create your own micro-community to help keep your pet safe. The more people that use it, the better it gets. It's kind of like an Amber Alert but for pets. Another great feature of the app is that it shows you pet-friendly places in your area. This includes dog parks, Veterinarians, groomers, pet-friendly businesses and pet hazards. You can add to the community by dropping a “pin” on the map and including your own suggestion. I will definitely use this if I come across a pet hazard to warn others while I'm out on a walk or hike. In my opinion, Pawscout is a “must-have” for pet owners. When it comes to safety, I don't want to take a chance. Pawscout gives me peace of mind so I can continue to give Rocket the freedom he loves. The Pawscout pet tag is well designed and the user-friendly app is filled with fun and valuable features. I have already recommended it to some of my family members. If you are a dog or cat lover, this product is priceless. *This contest is now closed. Congratulations to our 5 winners! This company is so generous, they have given us 5 tags to give-away to our readers! Entering is easy! Read this blog post and leave a comment below telling us why you would love to win. Be sure to leave your Instagram handle in the comment. *All 5 Winners will be announced on this blog and on @rocket_the_dachshund Instagram page Friday, October 6th 2017. Last day to enter is Thursday, October 5th 11:59pm EST. As with many Jack Russell Terriers, my little guy Charlie LOVES to explore. He has a notorious tendency to make a dash for it at any chance he gets. This ranges from dashing out the front door or trying to dig through the fence in our very own backyard. My biggest fear is going outside to let him in and not finding him. I have made every effort to cover every hole and crevice he could possibly get out of, but I always peek for him through the window a dozen of times to make sure I can see him. This collar would reassure me SO much and I did not even know something like this could help me feel reassured my own dog is actually in my backyard. I would be so grateful for this lifesaver. Hannah- please remember leave your instagram handle here! Thanks! Oh wow super affordable as well!! Hi Deanna. Yes, there are so many wild animals in the mountains, it’s easy for our pets to get distacted with a game of chase! Thanks for entering and good luck! Hi Lauren, I can’t imagine how you must have felt being completely helpless and so far away! I’m SO happy that wonderful woman found him and returned him safely to you. I often travel without Rocket, and I agree, this product would be so helpful to keep an “eye” on them while we are away. Thank you for sharing your story and good luck! Hi Elaine, This product would be perfect for him. Those squirrels and rabbits can be so tempting to chase! Good luck! Reggie and I would love to win because he’s a wanderer sometimes when the squirrels run by and it would be great peace of mind to have this on him and I could help out other dog owners with it! Hi Vanessa, Rocket is the same way with squirrels and cats. Thanks for entering, good luck! We would love to win for one of our two doxies, Mika (almost 2) and Poppy (4mths). It would be a great safety measure especially when we go out to my family farm. There are all sorts of distractions like squirrels, birds, and stray cats. But the girls love being outside at farm. Love the idea of added safety for those unexpected moments. Hi Savannah. Yes, we can never be too safe with our furry family members! Mika and Poppy are so lucky to have a farm to run free on! Good luck! Hi Elizabeth, I really enjoyed reading your blog on the Pawscout! I’ve been trying to decide for a while which type of tracker I should get for my little doxie, Maddie. This sounds like it has all the features that make for a great one!! Maddie, like most doxies, is a curious little monkey. We frequently head out of town so she can get her sniffin’ in, and recently on one of our adventures, , took off after a bunny. Nearly gave my husband and I a heart attack as she ran and ran and ran! She nearly caught the bunny, but not quite, thank god:/ Anyway, in the off chance she got too far away I would love to have the option to “track” her. We also have a pet sitter that takes her out for walks when we work, and it’s always a little bit of a worry thinking about her getting free and not coming back to the dog walker. The Pawscout would definitely bring some peace of mind. This is a great safety feature and I would love to have one. I hope I win one in the giveaway. Thanks for entering, Maria. Good luck! I would love to win because my dog runs away to our neighbors barking which disturbs them. He also does definitely have those instincts to chase animals and cars which makes it hard to keep track of him. Hi Bella. My Rocket is the same way with animals, especially cats! Good luck and thanks for entering! This is a wonderful idea. I love the fact that this puts your mind at ease when you have a wanderer on your hands. Nothing makes your heart drop faster then having your loved disappear from your eyesight in a split second. This product is so reassuring. You can never be too safe. As a dog sitter I’d love to be able to use this as I needed. The size and shape is perfect to use on one lovable fur baby to the next. I feel like pet owners/clients would love to know that there’s another set of eyes as well on their family members. I can’t wait to try Pawscout on my very own fur babies. Also I have been following Rocket for sometime now & if Pawscout is a hit with Rocket then I’m sold! I love Rocket, such a stunner. Hi Christa, I can see how your move would be scary at first for little Dani but I’m sure she will be a “city dog” in no time! Thanks for entering and best of luck! I love how many different things it does! Its not just your average gps. The best part is when it notifies you that your furbaby has wandered too far away AND that others with the app can quickly get in touch with you if they come across him or her! Hi Tresa, I agree, it is a fantastic product! The best part is that Rocket, who is usually picky about tags on his collar, doesn’t even notice it. You have 3 doxies? Can I come over? hehe.